Happy with your litter? Are you sure you're using the one that's right for you and your cat.? 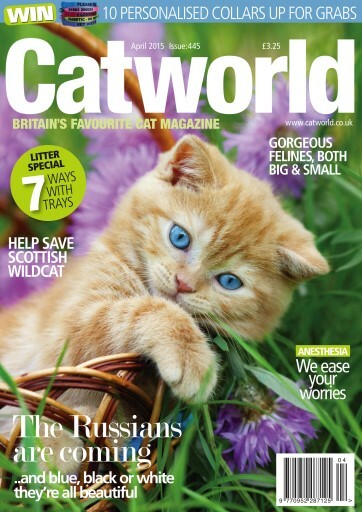 In this issue of Cat World we take a detailed look at what's available. And don't forget the type of litter tray is just as important. Our experts are on hand to help readers with problems, and vet Alison Logan advises on how to introduce a new kitten into the home. The Russians are coming too - in black, white and blue!